What is Aquaculture, and Why Do We Need It? 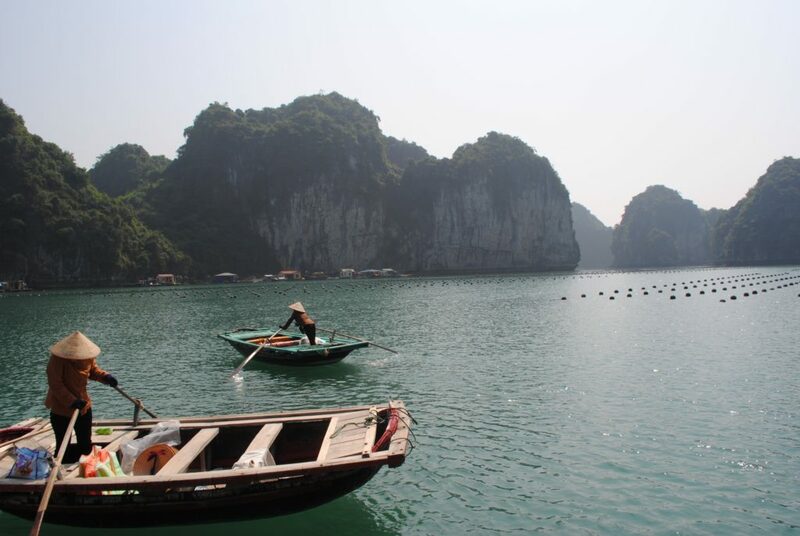 By 2030, 62 percent of all seafood produced for human consumption will come from aquaculture. Today, it’s about 50 percent. So, what is aquaculture? Aquaculture is the controlled process of cultivating aquatic organisms, especially for human consumption. It’s a similar concept to agriculture, but with fish instead of plants or livestock. Aquaculture is also referred to as fish farming. The seafood that you find at your local grocery store is likely labeled as farmed fish. Aquaculture can happen all over the world, and it does: in coastal ocean waters, freshwater ponds and rivers, and even on land in tanks. The methods of aquaculture’s farm-to-table process can differ from species to species. 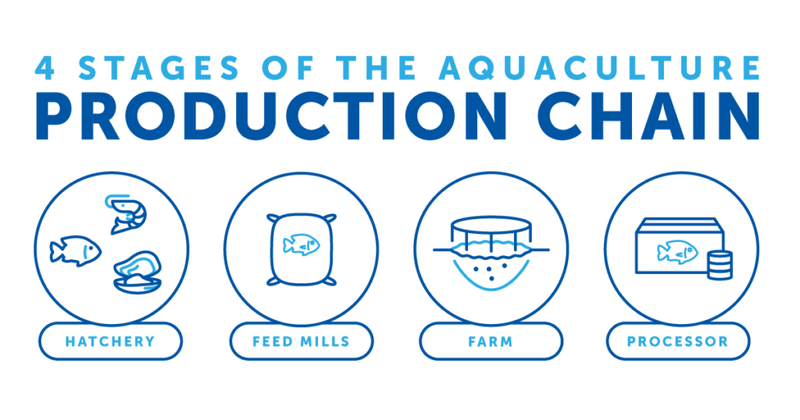 Generally, there are four stages of the production chain, starting in hatcheries and ending at the seafood counter in your grocery store. Each of these stages can vary with respect to its effect on the environment and the quality and safety of the seafood they produce, which is why the Global Aquaculture Alliance administers the Best Aquaculture Practices (BAP) third-party certification program. 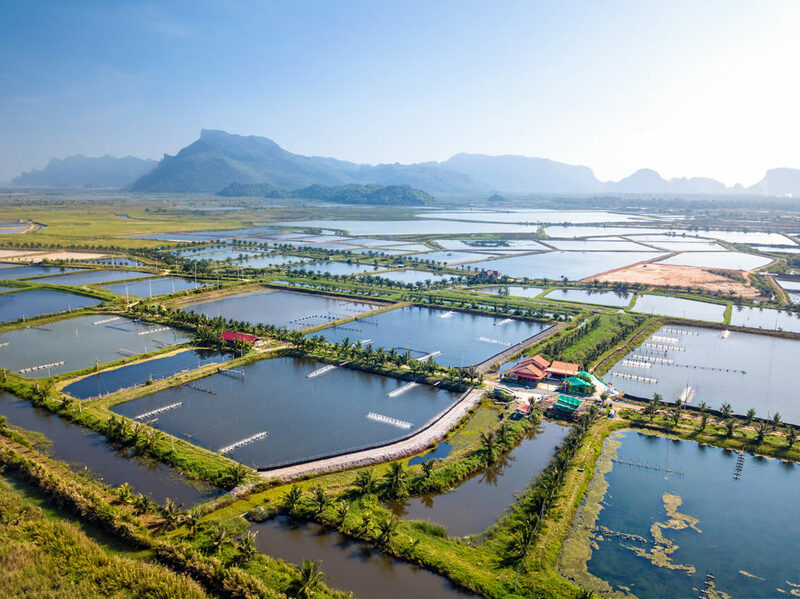 In the past, fish farms have had issues with respect to these four aspects of aquaculture, and BAP seeks to improve the fish farming industry across the globe. This is the only certification program that covers every step of the supply chain. You can be sure your seafood was farmed responsibly if it has the BAP logo on it! The first stage in the aquaculture production chain is the hatchery. This is where the breeding of fish, hatching of eggs and rearing of fish through the early life stages happens. Once the animals are mature enough, they are transferred to the farm, where they are grown to harvest size, using feed produced at feed mills (another stage of aquaculture). The fish are then transported to a processing facility, where they are packaged and sent to food retailers and grocery stores. That’s where you come in. Given that overfishing of our oceans and other natural resources is continuously increasing year over year, humans need alternate sources for seafood to feed the planet’s ever-growing population. “Unfortunately, the days of the ocean’s natural productivity providing for the planet is over. Wild fish have been exploited for generations. Some estimate that the annual catch of edible marine protein has already passed its peak. The oceans cannot naturally provide the demand for seafood” (Positive Aquaculture Awareness). Aquaculture is the tool to fill in the gap of seafood supply. Farming fish responsibly and sustainably is the solution to providing future generations with access to healthy and environmentally friendly protein options. Not only is aquaculture necessary, it is also a sustainable option for consumers, especially in comparison to other farmed proteins. Seafood is highly resource efficient — it has the highest protein retention compared to chicken, pork and beef. It also has the lowest feed conversion ratio among the same forms of protein. Aquaculture has lower greenhouse gas emissions than other types of farming. With an anticipated 10 billion people expected to inhabit the planet by 2050, the demand for animal protein will increase by 52 percent. Sustainable and healthy approaches to feeding the world are more critical than ever before. In order to sustainably feed the world’s growing population with a healthy, lean protein, aquaculture’s role is of the utmost importance. The primary responsibility of aquaculture is to efficiently complement wild-caught fish options to increase the amount of seafood available worldwide. Aquaculture has the potential to improve the health of our planet and the health of our population, as long as it is done in a manner that is environmentally friendly, socially responsible, and considers food safety and animal welfare. 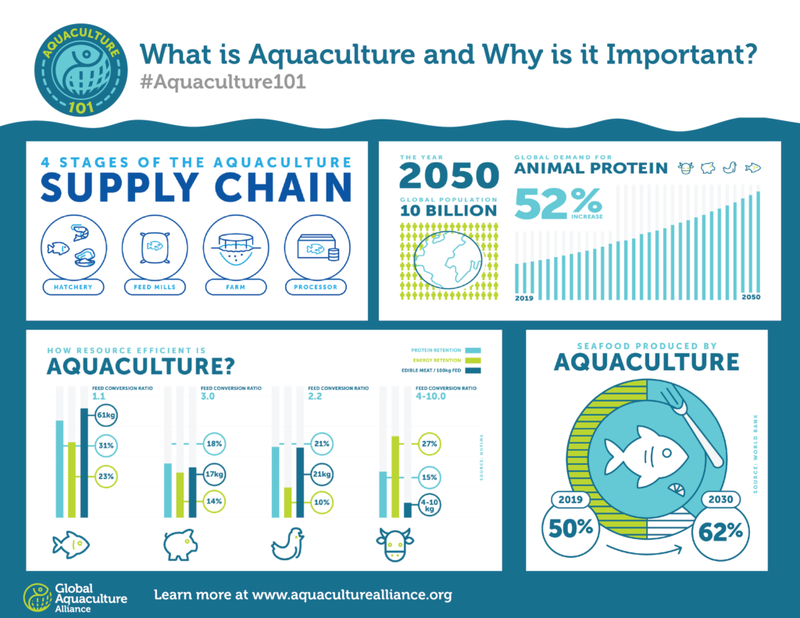 Learn more in our “What is aquaculture and why is it important?” video.